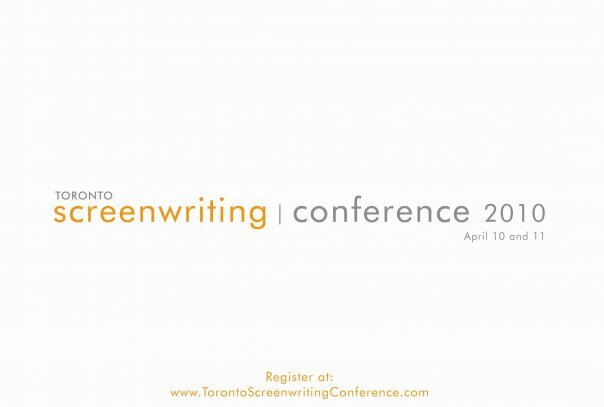 On the weekend of April 10-11, Toronto will host an exciting new event for screenwriters and creatives in the film and television industry. 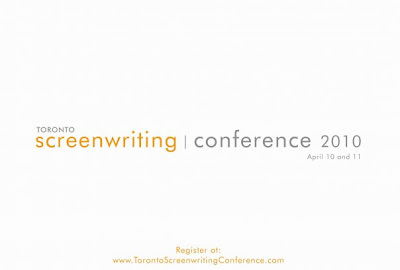 The Toronto Screenwriting Conference 2010 takes place at Ryerson University's Ted Rogers School of Management at 55 Dundas Street W. between Yonge and Bay. It promises to be two full days of learning from some of the brightest names in the biz at the moment. The list of speakers seems especially strong in the television side. Speakers include Tim Long, an Emmy Award-winning writer on The Simpsons for eleven years, and Rob C. Cooper of Stargate SG-1 and its spin-off Stargate Atlantis. 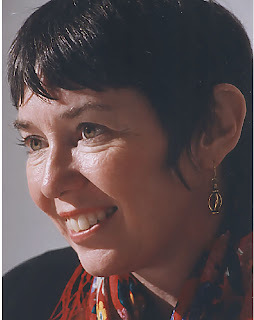 Dr. Linda Seger (pictured below) is one of the best script doctors and screenwriting authors, and has just released a new edition of her classic Making A Good Script Great. Another highly respected script consultant Dara Marks will also be speaking. In addition to talks, there will be Q&A sessions and Master Classes. The first 50 students to register can get a $70.00 rebate at the conference with valid student photo ID. Tim Long has been a writer and producer with The Simpsons for the past eleven years, rising to the level of Executive Producer in 2004. Prior to joining the long-running animated hit, Long spent three years writing for The Late Show With David Letterman, including one year as head writer. He has also written extensively for print media, publishing work in Vanity Fair, The Village Voice, and the Los Angeles Times. The New York Times recently published Long’s original comic play, “Thanksgiving With the Far-Flung Mulligans,” on its op-ed page, and the play is now in development as a feature film. In recent months, Tim Long has expanded his career to include musical comedy, and has been hired by Warner Brothers to adapt the comic book Richie Rich into a Broadway musical. Long also just finished writing and producing a special musical episode of The Simpsons entitled “Elementary School Musical”. This episode, slated to be the Simpsons’ season premiere in 2010, features three original songs by Long – one sung by the cast of Fox-TV’s Glee, and the other two performed by Jemaine Clement and Bret McKenzie of HBO’s Flight of the Conchords. Tim Long, 40, has won five Emmy awards and earned thirteen nominations. He has also been nominated for a Golden Globe, and been awarded an “Annie Award” for outstanding writing for animation. Long lives in West Hollywood, California with his wife Miranda, and grew up in Exeter, Ontario, Canada (population 4000), home to North America’s only indigenous population of white squirrels. Tim Long will be presenting two Q & A sessions. Chuck’s writing extends across the media spectrum. He has done punch-up and rewrite work on high-profile feature films (“Wild Hogs,” “Shrek 3,” “Alvin and the Chipmunks”) and derives great satisfaction from writing humor essays. These pieces have been published in The New York Times, The New York Observer, Variety, Chicago magazine, and The Toronto Globe and Mail. Chuck even dabbled in politics when he wrote jokes for John Kerry during his 2004 presidential campaign. Chuck’s zingers weren’t enough to put Mr. Kerry over the top, but some bon mots he penned for a recent roast of Rahm Emanuel were well received. In the sense that Chuck is currently being audited by the IRS. Chuck will be presenting two Q & A sessions. Rob C. Cooper has written and produced multiple episodes of Stargate SG-1, served as its showrunner, and was co-creator of the hit spin-off Stargate Atlantis. He made his directing debut in season nine of SG-1 with the episode "Crusade," and also wrote and directed the series finale episode “Unending,” which brought the award winning show to a close. The record-breaking ten year run earned it the title of ‘longest continuous running science fiction series in the world.’ As well as continuing his Executive Producing role, he wrote and directed episodes of Stargate Atlantis in season three through five. Cooper wrote, produced and directed the immensely successful Stargate: The Ark of Truth, the first of two direct-to-DVD movies for MGM Television. As well he, along with Brad Wright, produced the second DVD movie Stargate: Continuum, which was written by Brad Wright and directed by Martin Wood. Cooper and Wright are currently in production for the second season of Stargate Universe. Cooper began working in television as a story editor on the series PSI Factor. His has been nominated for and won awards for writing and directing both television and feature films including two Hugo award nominations. His produced work includes the screenplay for The Impossible Elephant, a family film for Edge Entertainment, and an adaptation of the book Best Actress that was produced by E! Entertainment Television. Rob will be presenting a Q & A session at the TSC. Rob Zotnowski currently heads all television development and production for Stars Road Entertainment with producing partners Sam Raimi and Josh Donen. Zotnowski previously served as Senior Vice President, Drama Series Development, for CBS Entertainment. Zotnowski was part of the team behind the development of CBS’s deep roster of hits including THE MENTALIST, CRIMINAL MINDS, GHOST WHISPERER, and FLASHPOINT. Most recently, Zotnowski was involved in the development of NCIS: LOS ANGELES and THE GOOD WIFE, which premiered last fall. Zotnowski made the transition from the Network’s current programming department to drama development in May 2005 when he was named Vice President, Drama Series Development. Previously, he had been Vice President, Current Programs, CBS Entertainment, since August 2003 responsible for overseeing CSI: CRIME SCENE INVESTIGATION, CSI: MIAMI, CSI: NY, EVERYBODY LOVES RAYMOND and TWO AND A HALF MEN. Prior to that, Zotnowski had been Director of Current Programs from June 2000-August 2003. Zotnowski joined CBS in August 1998 as Manager of Current Programs, where he worked on all CBS comedies. Ellen Besen A former faculty member of Sheridan College’s School of Animation (1987-2002) and infamous workaholic, Ellen Besen has been working in the field of animation for over 35 years. (35 years! Even she can hardly believe this.) Ellen is an award winning animation filmmaker (independent and National Film Board of Canada); former faculty- Sheridan College School of Animation; creative program director- Kalamazoo Animation Festival International 2007-09; animation film theorist and author of Animation Unleashed. Her films have been shown in multiple international festivals, and her film analysis workshops are featured at such festivals as the Ottawa International Animation Festival (OIAF). Renowned as a specialist in animation storytelling, Besen has written popular series for Animation World Network on such topics as animation and analogy; has served as creative director of The Kalamazoo Animation Festival International and continues to teach the principles of animation filmmaking on an intensive one-on-one basis. Work in progress includes her next film, Elusive Hearts (working title), and her next book, Whole Cloth Storytelling (working title). Ellen will be presenting a session on Storytelling Techniques for Hybrid and Animation Filmmaking. Sheldon Bull has been a successful TV writer and producer for thirty years. He has held positions from Story Editor to Executive Producer on eleven prime time American network television series, working with and writing for stars such as Bill Cosby, Alan Alda, Danny DeVito, Bob Newhart, Henry Winkler, Craig T. Nelson, Betty White, and Melissa Joan Hart. He is the author of ELEPHANT BUCKS. Sheldon will be presenting a session on Writing the Half-Hour Comedy. Pam Douglas is an award-winning writer with numerous credits in television drama. The Second Edition of her book WRITING the TV DRAMA SERIES follows the best-selling First Edition published in 2005. The book and has been adopted by network mentoring programs at NBC and CBS, and has been translated into German, Chinese, Korean and other languages. She was a creator of the PBS series Ghostwriter, and was Story Editor of the Emmy-winning CBS series, Frank's Place. Additional series credits include A Year in the Life, and Star Trek: The Next Generation. She has also been a member of the Board of Directors of the WGA West. At the School of Cinematic Arts of the University of Southern California she is a tenured professor and chair of the television track in the screenwriting division. Pam will be presenting a session on Writing the TV Drama Series. Dara Marks PH.D. is a leading international script consultant, seminar leader, and author of one of the top selling books on screenwriting, Inside Story: The Power of the Transformational Arc. She has specialized in the analysis of the modern screenplay for the past two decades, and Creative Screenwriting Magazine has consistently rated her the “number one” script consultant in Hollywood. Dara has worked for most major Hollywood studios and her advice has been sought on a variety of films and television programs. Dara has a doctorate degree in Mythological Studies and her groundbreaking work in this field continues to help writers engage more deeply and effectively with their stories. Dara will be presenting a session on the Archetypal Development of Plot and Character..
Dr. Linda Seger began her script consulting business in 1981, based on a doctoral dissertation on "what makes a script work?" Since then she has consulted on over 2000 scripts from 6 continents, given screenwriting seminars in 31 countries, and written 8 books on screenwriting. The new edition of MAKING A GOOD SCRIPT GREAT was published in February, 2010, and a book on writing subtext will be published at the end of the year. Linda will be presenting a session on Making A Good Script Great. Jennifer Van Sijll is the author of the bestselling book, CINEMATIC STORYTELLING. Her book has been adopted by film schools around the world and has been translated into Mandarin, Korean, French and Italian. Jennifer has an MFA from USC’s School of Cinematic Arts and has taught screenwriting for 15 years. She currently teaches at the Art Institute in San Francisco. A former script reader for Universal Pictures, she consults regularly on scripts for writers and producers. She is currently working on her second book for Michael Wiese publishing. Jennifer will be presenting a session on Cinematic Screenplays.